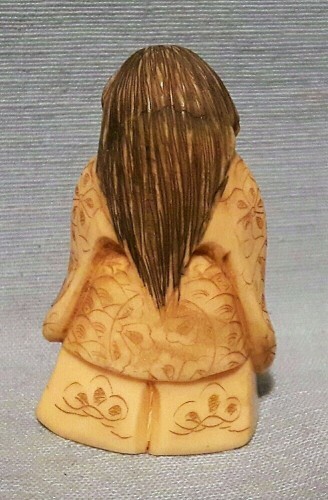 Can anyone identify the artist of this 2-face okimono? Thank you! David. 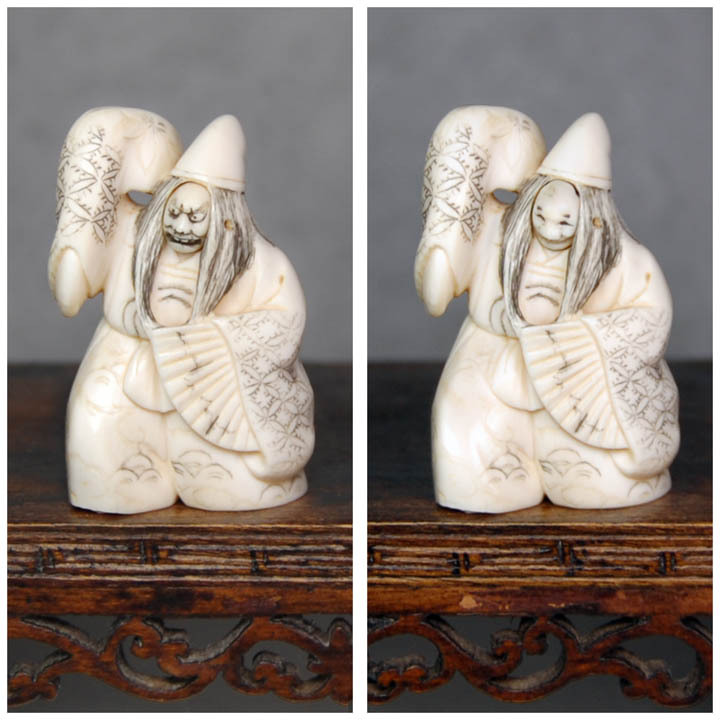 Your carving is of a noh character called the 'Two-Faced Witch', and I'm guessing the material may be vegetable ivory (tagua nut) or possibly a marine ivory. 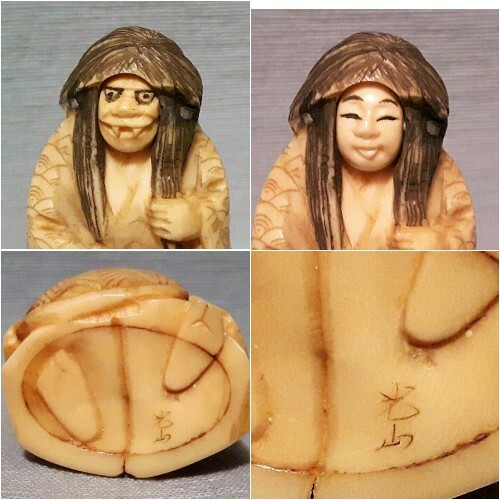 The signature seems to be 光山, which I've seen as 'Kozan' with potters, but the carving class may have a different appreciation of pronunciation. 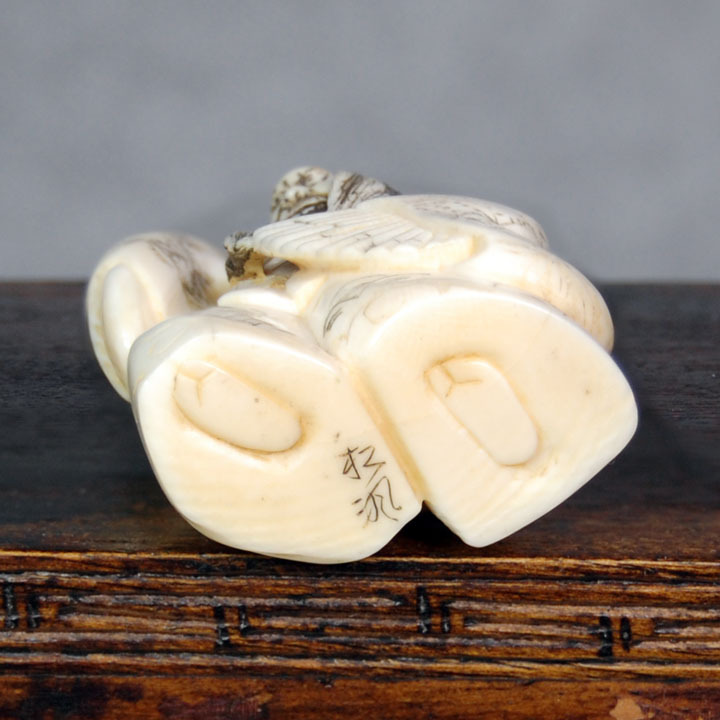 Perhaps one of the Japanese collectors can clarify. 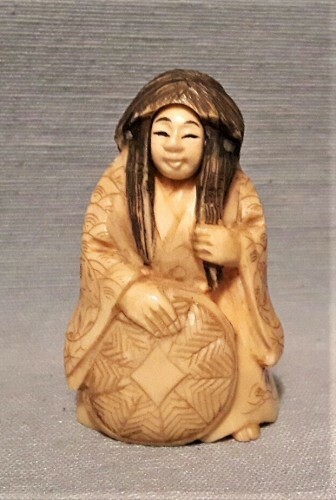 For comparison, I offer what I take to be an antique ivory netsuke of the same noh character which has a signature I haven't mastered yet in any category of Japanese art. It was acquired from a gallery I used to frequent but which no longer operates. 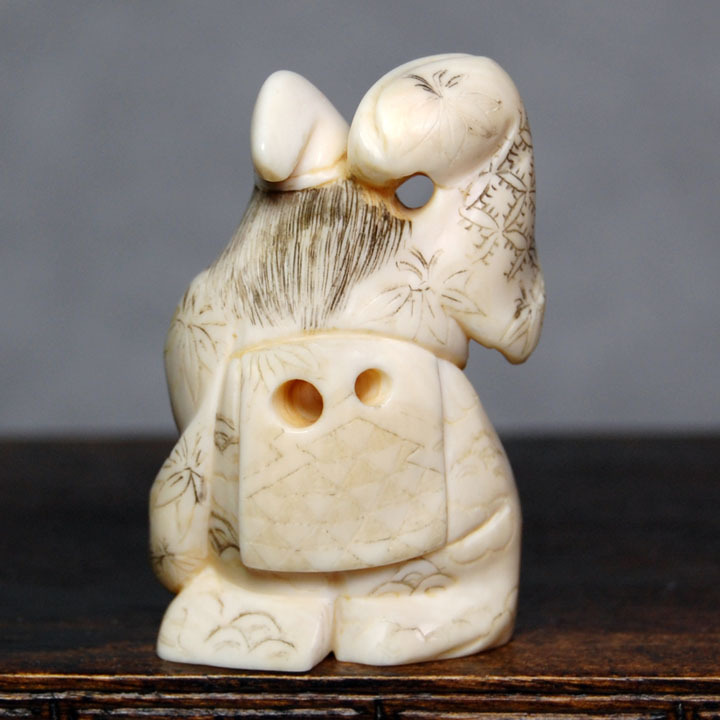 The quality of this piece reflects more of the late owner's good eye for this genre than I can yet claim in good conscience to possess.